Google keeps reporting on the importance of mobile traffic. Yes, mobile search has surpassed desktop usage which is why Google’s focusing so much attention on getting websites to be mobile friendly. That’s great, but the reality is that a lot of niches just aren’t dominated by mobile traffic. We did a little analysis of some of our clients’ sites and looked at their traffic over the last month and made some pretty charts. 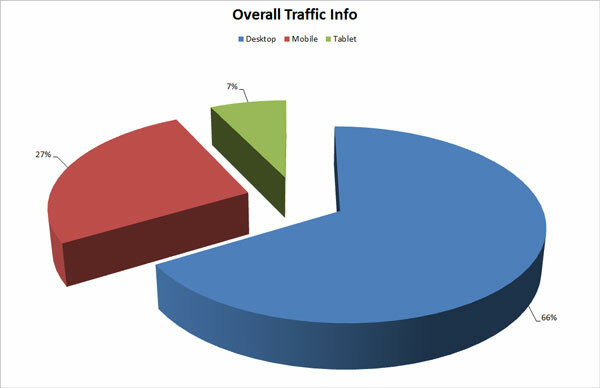 These charts are based on about six million visits. It’s not a huge sample, but it’s still pretty fun to look at. 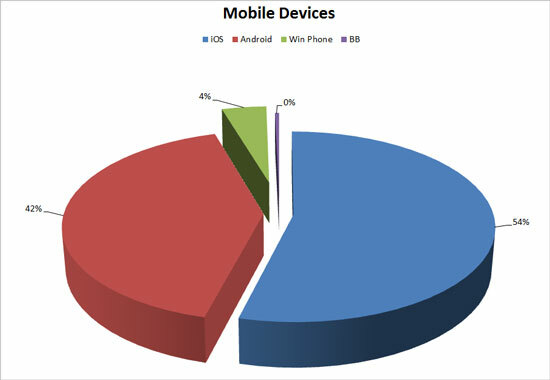 This is the breakdown of desktop, mobile and tablet use for the sites we checked. Desktop is still WAY out front for these sites. 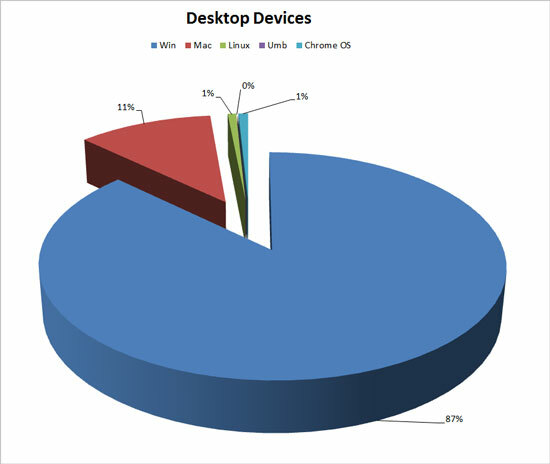 Of the desktop devices used to access the sample sites, Windows is by far the most popular OS. iOS is the most popular mobile OS, but not by too much. Android is right up there. Of the desktop browsers, Internet Explorer / Edge no longer reign supreme. 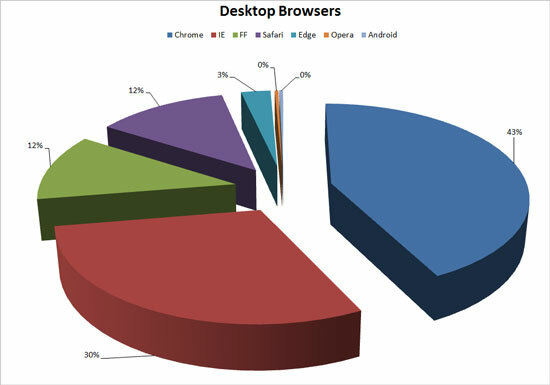 Chrome is the most popular for these sample sites.